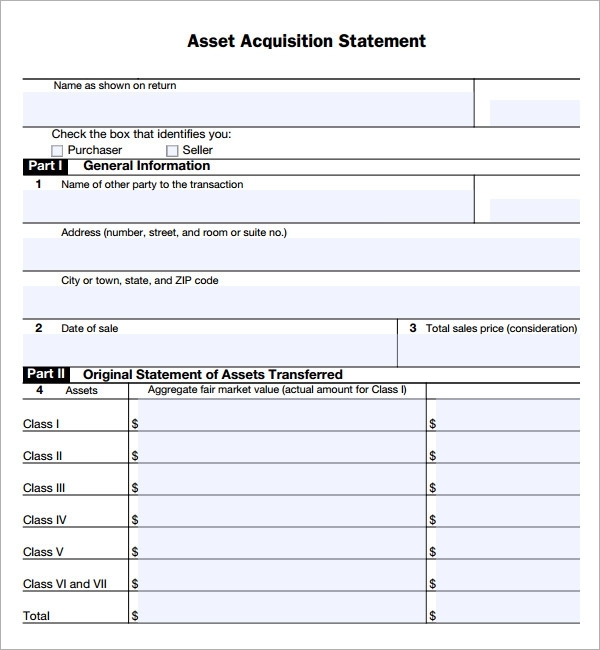 All matters related to the purchase and sale of the asset or assets in question must be put down in the APA, as you can see from these sample APAs. 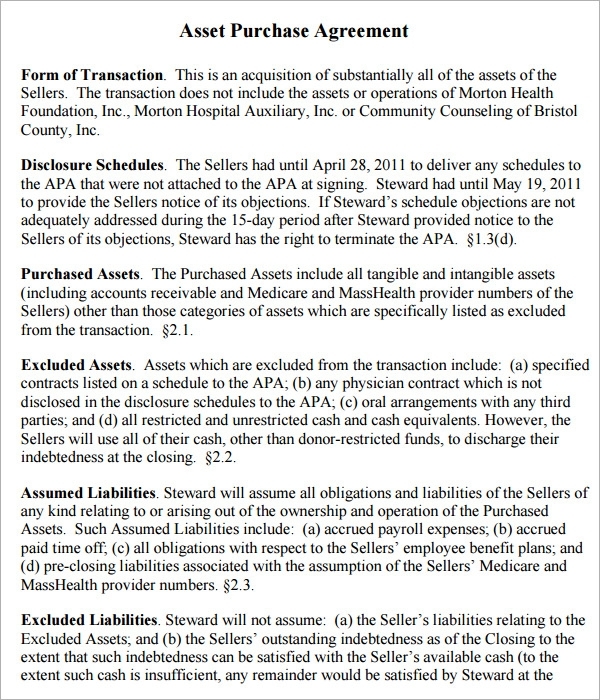 Naturally, and APA is distinct from a stock purchase agreement or SPA. 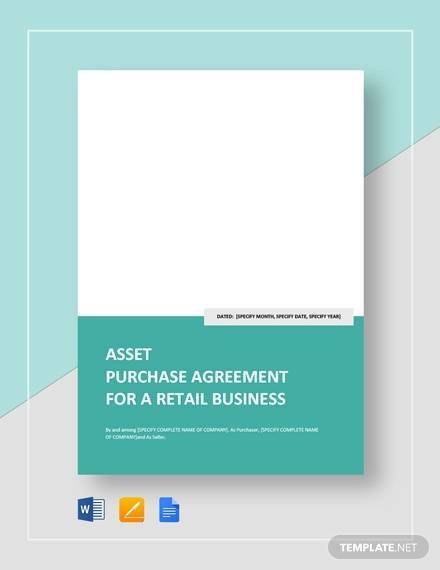 A major objective of an asset purchase or Sale Agreement Template is to define and control behaviour with regards to the transaction. 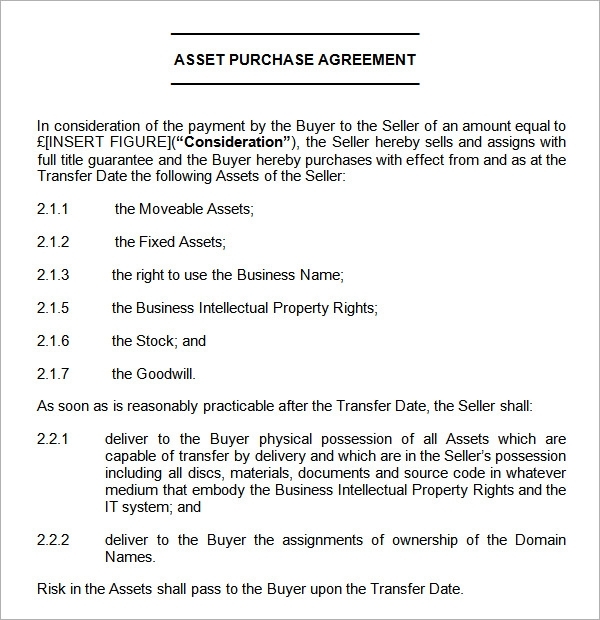 The authority of the buyer to purchase the asset must be represented. 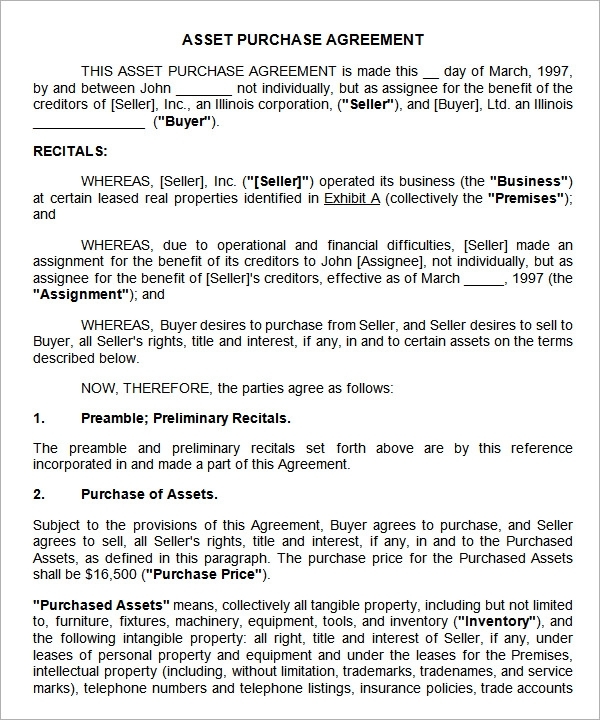 The authority of the seller to sell the asset must be represented. 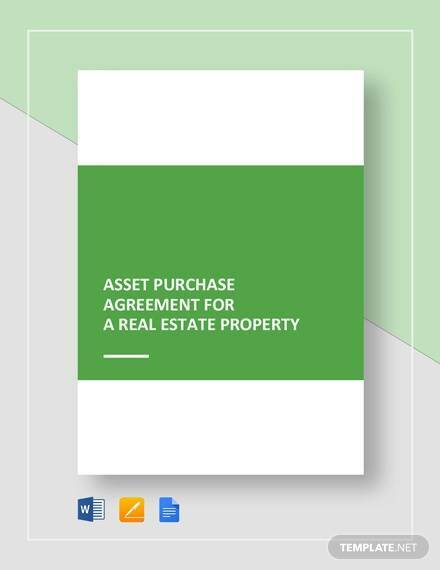 As these examples will show you, the asset purchase agreement should contain all the following information relating to the transaction. 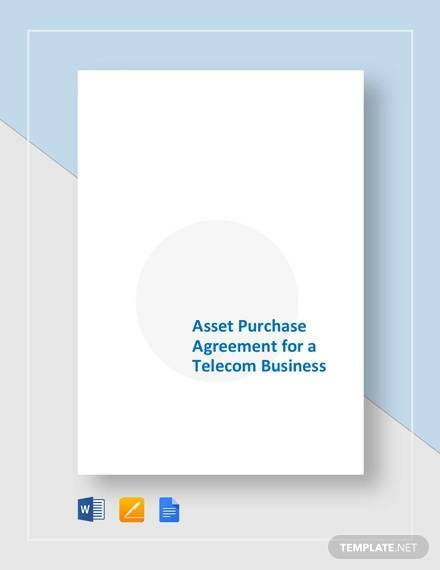 An acknowledgment that the purchase price equals the value of the asset. 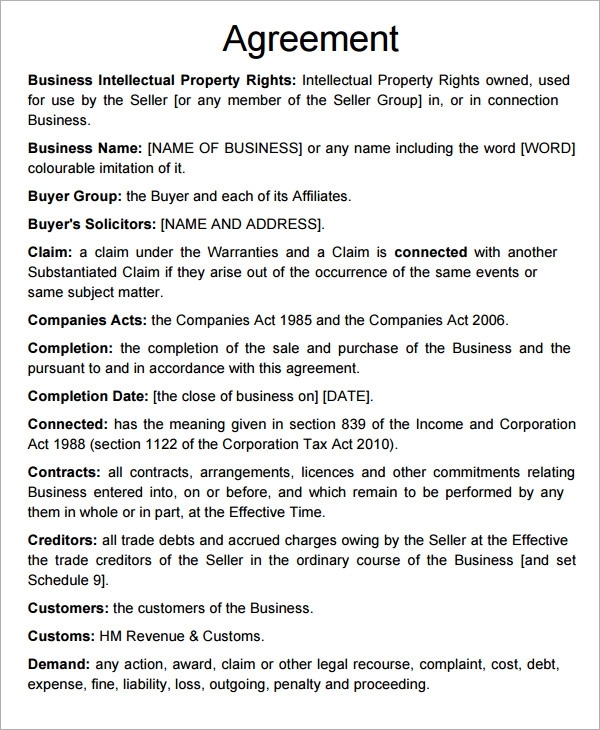 Recognition that the seller is in not legal or financial difficulty. 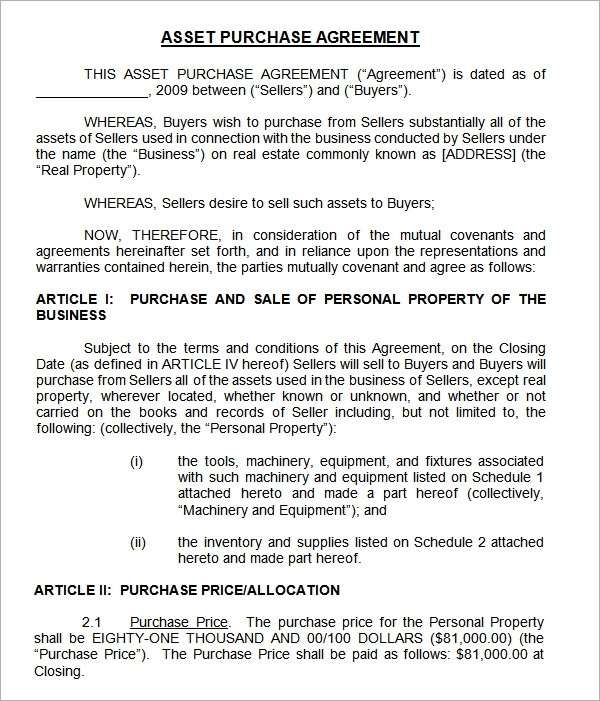 Information related to purchase price payment, encumbrances or liens currently on the assets, value of monthly installments, and any condition which will be precedent to closing. 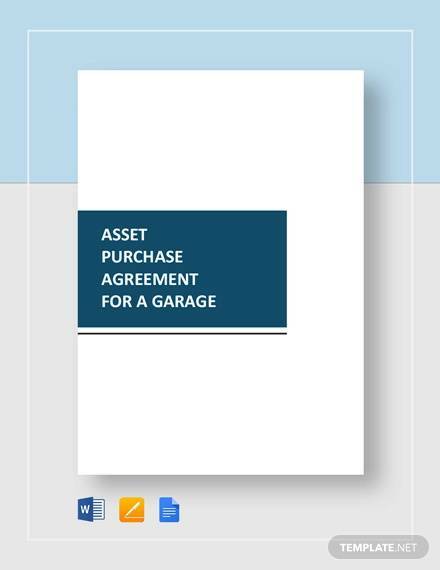 These templates, which you can download easily onto your computer, will serve as a guideline on what an asset purchase agreement should contain and how it should be set out. 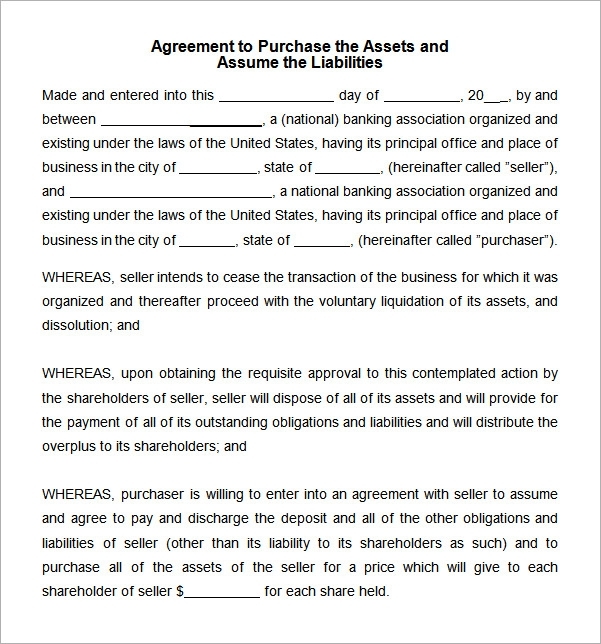 It is important to get all the provisions right to make this legal document airtight.